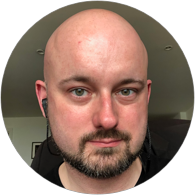 I’m Andrew Robert Burgess, a User Experience Design Lead, based in London, UK, with over 19 years experience creating and developing websites, interfaces and promotions. Keep scrolling down to learn more about me, or you can view my work, read my thoughts on UX and Design, or get in touch. Devising iterative sketch designs of how the user will interact with a product, based upon research and testing. Examining and devising how information is organised through a site. Designing the user experience in a service, reaching beyond the remit of just a physical or online experience. Methods to examine user requirements for a given situation, and to regularly test work progress to ensure that it addresses those needs. Devising how information is laid out and displayed in print or online media. Starting as a Front-end Developer for Springer Healthcare, I went on to become a Senior UX Designer for a number of significant projects, working with teams across the UK, Germany, India and the US, until I ended up as Lead UX Designer managing a team of six designers in Pune, India. Creating the new Barclays One portal for higher-earning clients. I incorporated and ran my own design consultancy for four years, contracting myself out to companies such as Somo, Clyde & Co, Open Business Associates, PGA Design and Carter Camerons. Starting as a Graphic Designer, I quickly added my knowledge of web design and animation to create sites and presentations, using 3D animations to help sell large scale commercial properties, such as city bank offices, The Queens Club and parts of 30 St Mary Axe. You can see more details on my skills and experience on my LinkedIn profile, or you can get in touch to ask questions, request a full CV or references.